It has been a good week for soul winning! God has allowed for us to lead 6 to Christ. July was a great month of soul winning and hopefully August will be also! My MobileMe account was all messed up and I was on the computer last night for going on 8 hours up until 2:15 this morning with three different people at MobileMe. They kept passing me up the food chain. Finally they restored everything and said they would take my problem to a Senior Advisory Group to look into it. It could only happen to me! Ha! I was up at 6, fixed breakfast for the Mrs. Did not feel like getting on the treadmill. I’ll wait until I get to the motel tonight. I ate a light breakfast, showered, dressed, and put my luggage into the car. Assistant Pastor Bob Queen will be here at 8:45 to take me to the Tyler airport for a flight to DFW and from there I’ll fly to Detroit. I am going to be with my good friend Pastor Marc Dalton whom I have known for over two decades. He pastors the Lakecrest Baptist Church of Waterford, Michigan. He has a great soul winning church and the reason is because he is a great soul winner. I will be teaching Sunday school, preaching Sunday morning, and Sunday night. 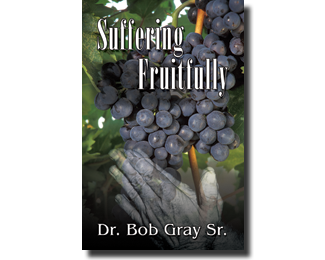 One of my new books SUFFERING FRUITFULLY is available on www.solvechurch problems.com along with THE DOCTRINES OF SALVATION and SUFFERING? I have now 19 books that are available on the same site. Several of our books, including Mrs. Gray’s, are available on AMAZON.com and Kindle. IBooks will soon have all of my books ready for downloading. If you have not used the eBook venue I would suggest you check it out. It takes a matter of seconds to download a book to the ipad, iphone, Kindle, or computer. It is amazing! GOTTA LOVE SERVING THE LORD!